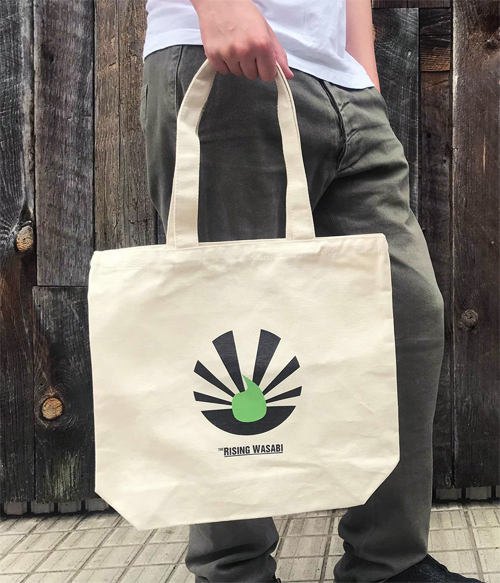 The Rising Wasabi Tote Bag is an unbleached, 100% cotton, eco-bag with a large wide base. Very high quality, thick cotton, durable, and a generous size (400×360×120mm) catering to all your shopping needs. 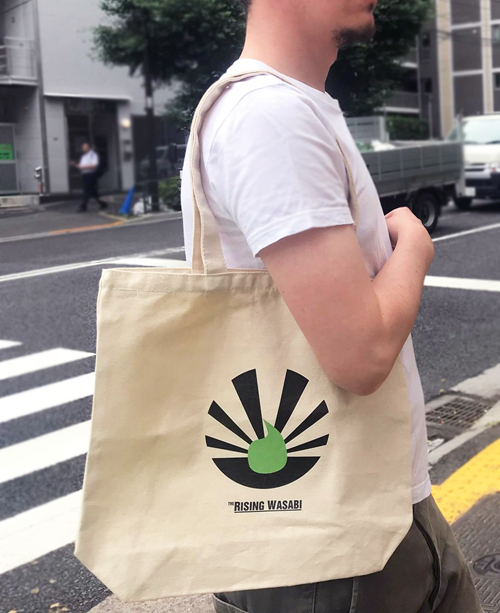 Finally, you can have your very own The Rising Wasabi Tote Bag so Japan can't use another plastic bag. Top quality. Thick cotton. Wide base. Never be asked if you want a plastic bag ever again.